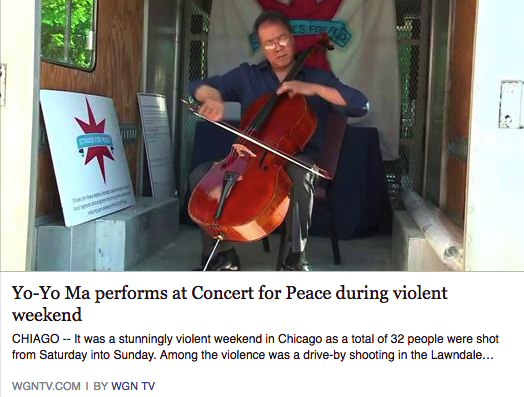 Yo-Yo Ma, cellist performed with musicians from the Civic Orchestra of Chicago and the Chicago Children's Choir, Josephine Lee, artistic director, and musicians from the Saint Sabina Church band. The program included works by Dvořák, Joplin, Ellington, and others. All donations and net ticket proceeds will benefit St. Sabina's anti-violence and "Strong Futures" employment programs. 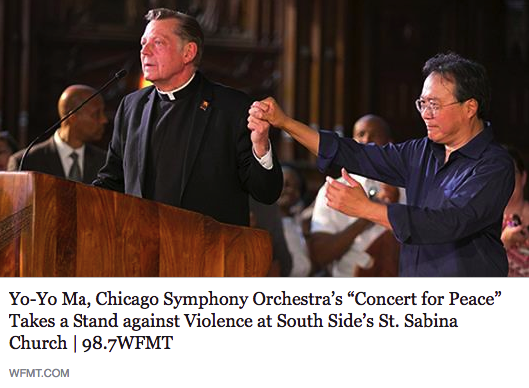 Crains Chicago Business: Can Yo-Yo Ma save Chicago? He's certainly trying.